Stockholm University is pleased to invite applicants to apply for a PhD position in astrophysics. This position is available for 4 years. Candidates are welcome before March 03, 2019. The Department of Physics is located in the AlbaNova University Center and has approximately 240 employees, 250 students at undergraduate level and 90 graduate students. There are four research subjects within the postgraduate program: Physics, Theoretical Physics, Chemical Physics and Medical Radiation Physics. These subjects span over several research groups with different research activities. For information about the Department of Physics, see: www.fysik.su.se/english. Subtitle: Probing early universe cosmologies through measurements of cosmic microwave background polarization with SPIDER and the Simons Observatory. The afterglow of the hot big bang, the cosmic microwave background (CMB), illuminates a number of key processes in the history of our universe. Together with other astrophysical observables, characterization of the CMB has lead to the development of an extraordinarily simple cosmological framework. However, various challenges and unanswered questions persist. Within the context of CMB experiments and data analysis, significant work is required to develop algorithms and calibration techniques to characterize current data. A complimentary effort involves developing future instruments that can probe cosmological signals with minimal measurement bias. The announced PhD position will combine work within these two research avenues through an association with a balloon borne experiment called SPIDER and a ground based experiment named the Simons Observatory. A number of experiments are searching for a tiny signal in the polarization of the CMB with the aim of constraining early universe models and the inflationary paradigm. Among these experiments is SPIDER, a stratospheric payload that completed its first flight from Antarctica in January 2015. The SPIDER collaboration is aiming for another Antarctic flight at the end of 2019. The candidate will contribute to the analysis of data from the first and second flight of the experiment. The Simons Observatory Collaboration is deploying a set of telescopes in the Atacama desert in Chile with the goal of having first light in 2021. Numerous design and calibration challenges are associated with the fielding of this new instrument and Stockholm University is developing new techniques in optical instrument design. The student will contribute to this effort by developing algorithms for optical modeling which will be used to refine future instrument configurations. The proposed work can have components from instrumentation, data-analysis, and theory, however, the work will certainly include aspects from high-performance computing and the analysis of large data sets. The candidate will work under the guidance of Prof. Katherine Freese and Dr. Jon Gudmundsson and collaborate with physicists in Stockholm as well as institutions across the world, in particular Princeton University and the University of Oslo. An applicant who has completed a second-cycle (master’s) degree, or completed courses equivalent to at least 240 higher education credits (4 years of studies), of which 60 credits must be in the second cycle, or have otherwise acquired equivalent knowledge in Sweden or elsewhere, meets the general entry requirements. In order to be accepted as a PhD student in Physics or Theoretical Physics a BSc in Physics (or equivalent)is required. The studies must include60 credits of second-cycle courses in physics out of which at least 15 credits correspond to a second-cycle degree project. The degree project does not have to have been examined at the application deadline, but work corresponding to half a semester of full-time studies should have been devoted to it. The selection among the eligible candidates will be based on their capacity to benefit from the training. The successful applicant will be selected based on documented theoretical and experimental knowledge relevant for the area of study, knowledge of scientific theory and method, analytical skills, personal motivation and team working skills. Well-developed English language skills are required. The applicants are encouraged to provide supporting documents that substantiate qualifications, e.g., knowledge, skills, abilities and experience. References and interviews will be used to assess qualifications of the applicants. We seek a self-motivated candidate with good analytical abilities and skilled in English. 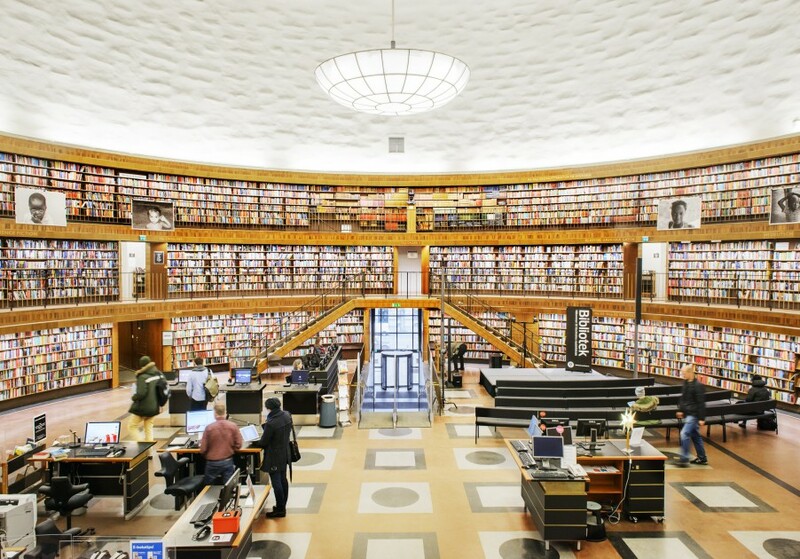 Admission Regulations for Doctoral Studies at Stockholm University are available at:www.su.se/rules and regulations. For more information, please contactDr. Jon Gudmundsson, jon@fysik.su.se. Further information about the position can be obtained from Prof. Per-Erik Tegnr, tegner@fysik.su.se.